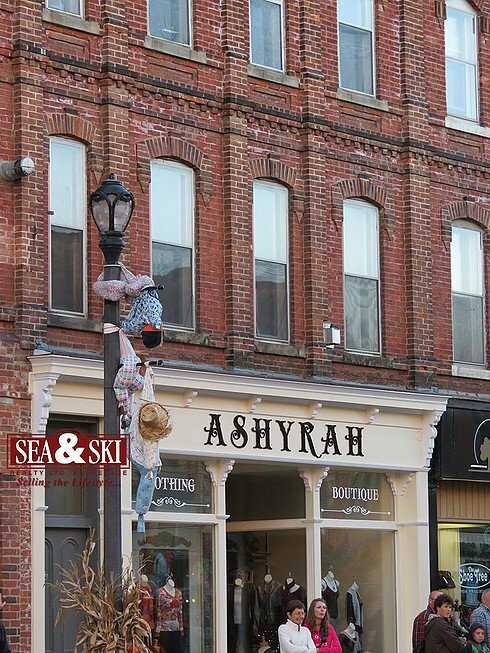 Every fall the streets of the quiet town of Meaford are taken over by scarecrows of all shapes and sizes as the Meaford Scarecrow Invasion kicks off.Beginning in mid September, residents and tourists driving through town will start spotting scarecrows hanging on lamp posts, in store windows, and of course taking over the Meaford Hall. 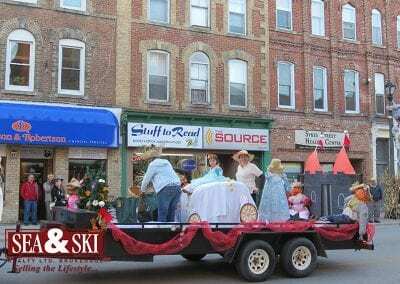 These decorative scarecrows quickly build anticipation for the annual invasion.The Rotary Club Scarecrow Parade kicks off at 6pm on the main street of Meaford. 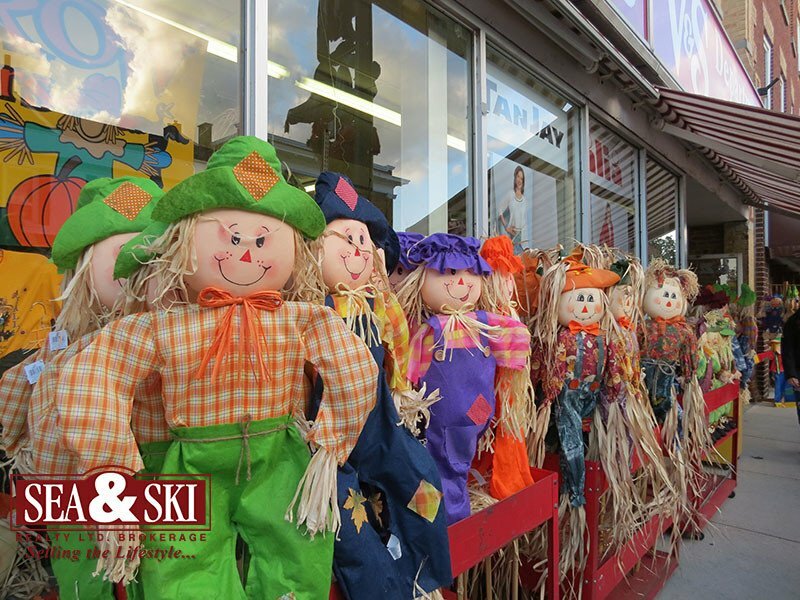 This festive parade always draws in a large crowd of scarecrow enthusiasts. Be sure to witness the creative displays in store windows for the annual business competition. 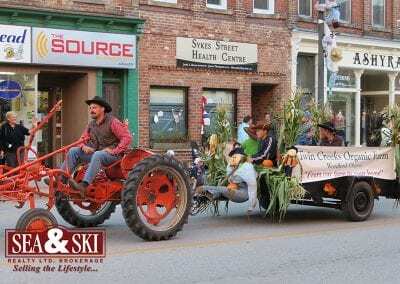 Following the parade, the Family Festival begins at 6:30pm at the Meaford Harbour. 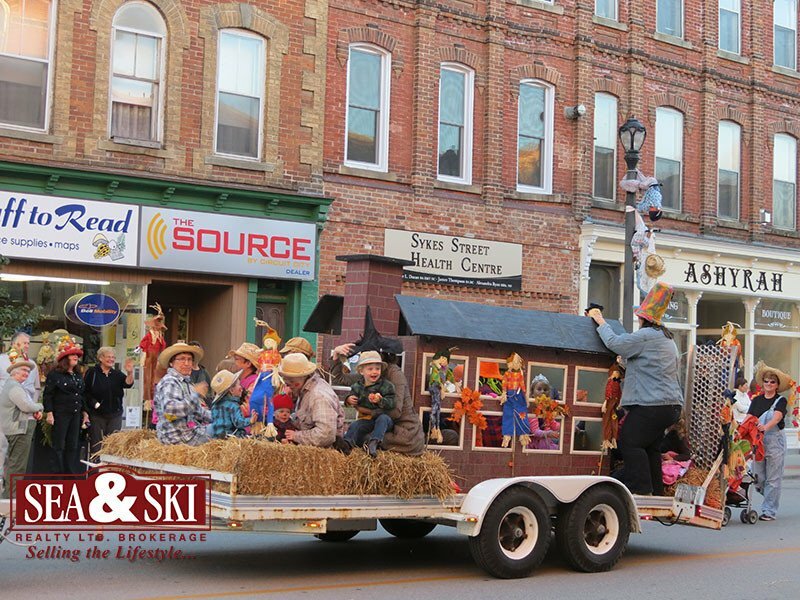 Admissions for all of the events affiliated with the Scarecrow Invasion are entirely free and fun for the entire family!The Scarecrow Invasion is renowned as one of the highlights of the Meaford area during the fall season and has been growing every year. 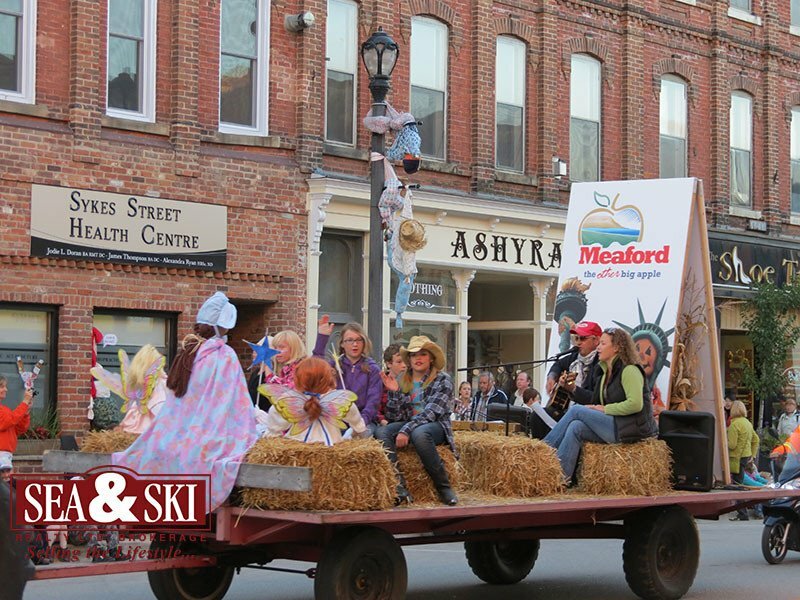 With 255 volunteers and 2,221 scarecrows, this event is driven by community support and dedicated volunteers.So if you are looking for a fun way to celebrate the fall season approaching as the leaves begin to change colour, be sure to attend Meaford’s Scarecrow Invasion! 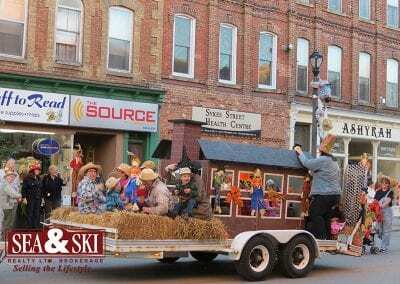 During the cold months of winter, many communities throw grand parades to celebrate Christmas. 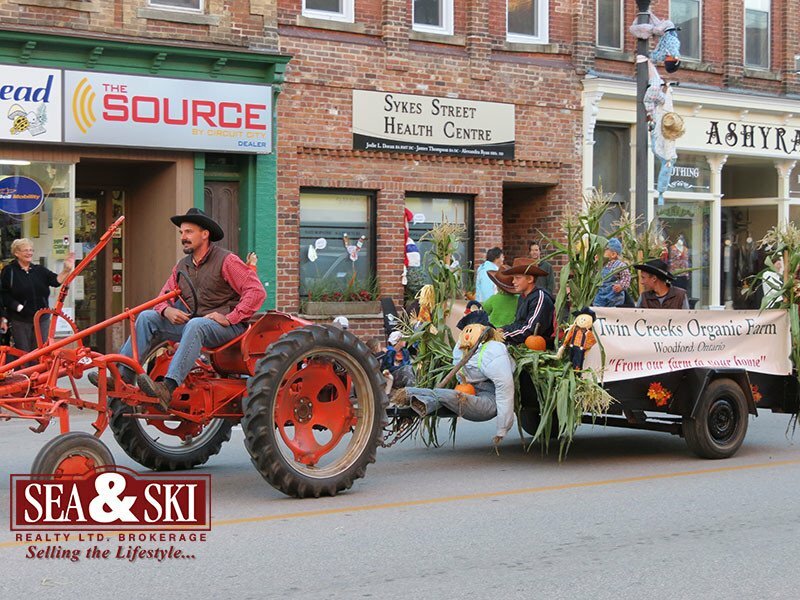 In the small town of Meaford, however, seasonal festivities starts as soon as the green from the leaves begin to fade away. 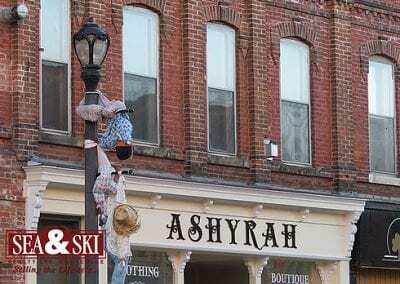 Just as summer concludes, the Scarecrow Invasion takes over the town from mid September until mid October. 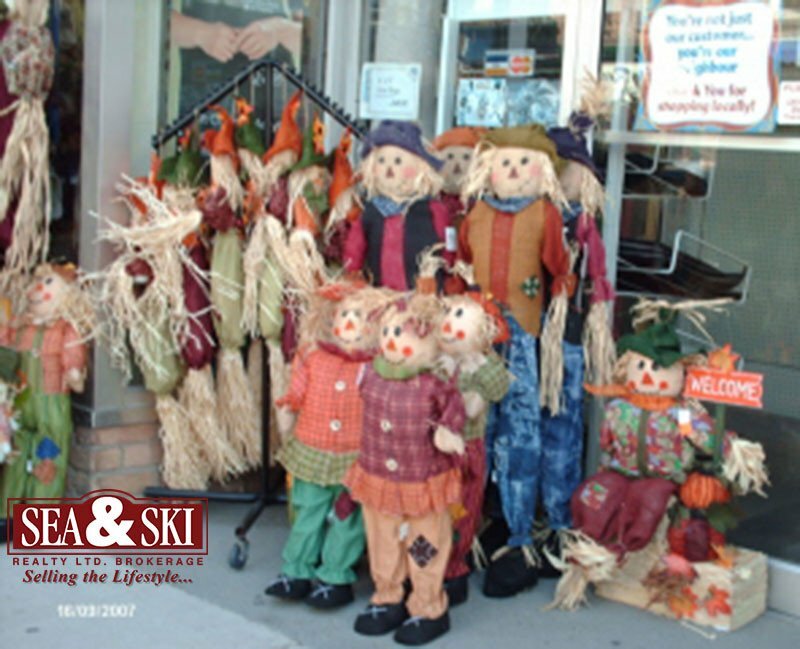 Every year at the end of September a scarecrow parade is held to celebrate the coming of fall and the scarecrows that this town loves so dearly. The concept of the Scarecrow Invasion began just sixteen years ago and has grown in size every year since. Recently, the annual invasion has started taking on an innovative theme each year. 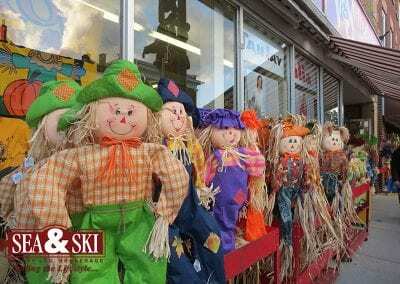 This year’s theme was “fairy tales,” which was quite evident with the overwhelming number of scarecrows dressed as though they had just jumped out of a children’s book. As you are driving into Meaford on your way to the parade, signs of the exciting festivities are everywhere. 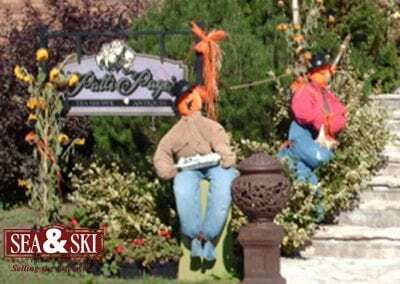 From the scarecrows hanging off of the welcoming sign to the vast display on the top of the hill on Sykes Street to the creatures in coveralls on the streetlamps. Once you arrive downtown, you are able to witness the hard work put in by local businesses that have decorated store fronts and windows. The Meaford Public Library crafted a fun display in the form of a fairy tale tea party. 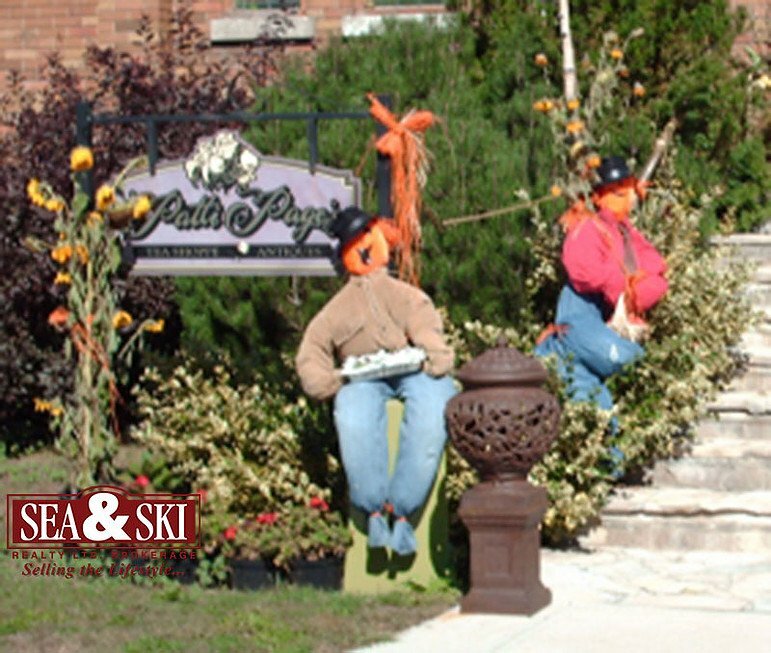 The scarecrows are all dressed as characters from one of the many beloved children’s books that fill the library walls. 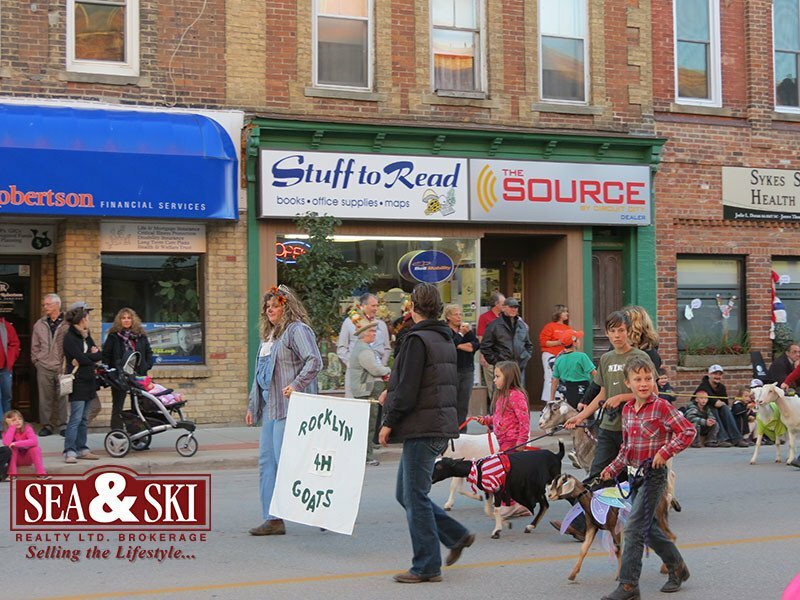 On Friday September 28th, the main street of Meaford was lined with eager spectators. 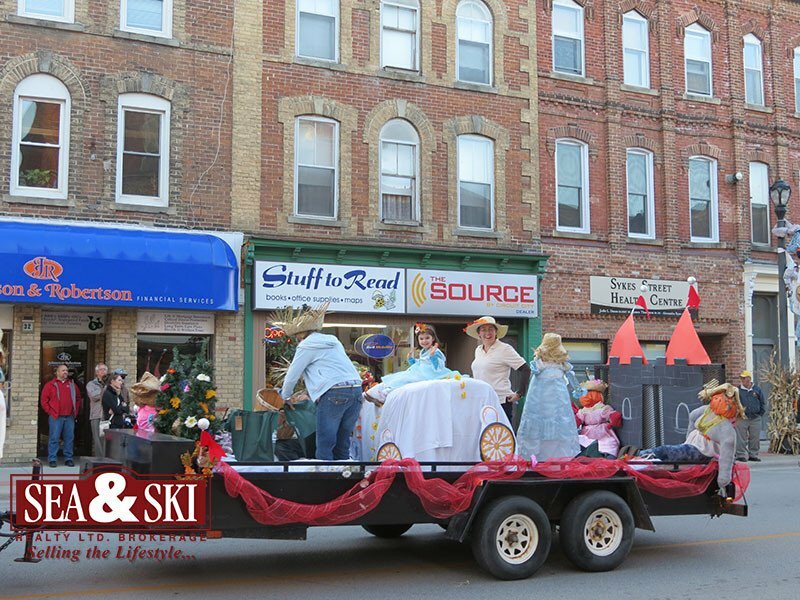 Just as the clock struck six, a parade of creatively crafted floats began to make their way down the street.Though floats entering the parade ranged in size and in structure, the theme that “Scarecrows Love Fairy Tales” remained consistent. Representing the public schools in the area, children proudly marched behind the respected banner from their school. Additionally, the talented Goldenaires sat upon their float dressed as scarecrow versions of Snow White and the seven dwarfs. The Golden Town Cruisers were also part of the action as they proudly drove through while the crowd stood in awe of their classic cars. The brave men and women of Meaford added a very powerful element to the evening. 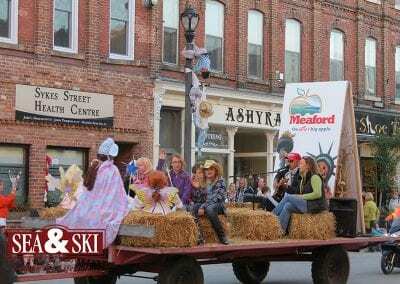 As the parade started, the blaring sounds of the fire truck filled the town as members of the Meaford and District Fire Department zoomed through the parade. Later, the local soldiers marched by as residents energetically clapped to pay their respects.There were also appearances by some furry friends including the tutu-wearing Rocklyn 4H goats and a group of magical princesses riding a group of breathtaking horses. One of my favourite moments of the Scarecrow Invasion was the Taoist Tai Chi group that slithered through the town in the form of a green dragon.The parade concluded with one final float that left a lasting impression. Perched on top of straw bails and accompanied by children dressed as magical creatures, a talented musician filled the cheery town with a unique song about the Scarecrow Invasion. The music continued to fill the streets as the final float led parade spectators down to the Rotary Harbour Pavilion for a family fun festival and the Meaford Farmers’ Market. 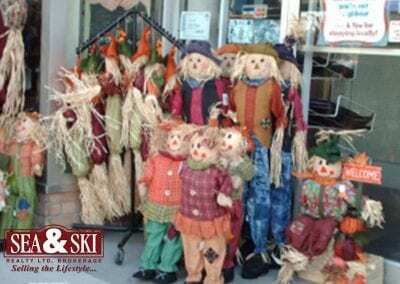 If you were unable to make it to this year’s wonderful Scarecrow Invasion, be sure to check it out next fall as the festivities keep getting bigger and better!